*** UPDATE 4/16/14 *** This is Nerd War! Since TBS still hasn’t renewed King of the Nerds, the rest of the Nerd Army “commanders” and I have decided to focus our meme efforts. This week, Kayla wants everyone to send her their best Janeway memes. Tag @On2Mars_Kayla @tbsveryfunny and use #nerdsrule when you post them to Twitter and we’ll try to show the best ones during the “Briefing” tomorrow night. 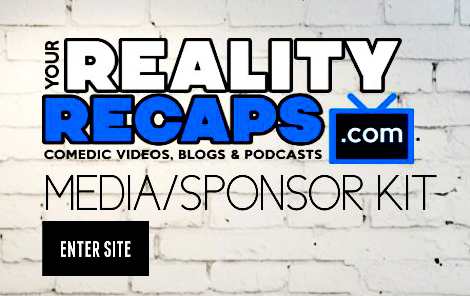 Oh yeah, don’t forget, we’re doing another live show – every Thursday at 7pm Pacific, 9pm Central, 10pm Eastern. Links to the first two are below. Keep Tweeting TBS! Don’t give up hope! Tune in tomorrow night – 4/17/14. “Hello to all of my fellow Nerds. Two weeks ago we said goodbye to the season two nerds and left Curtis and Bobby all alone in the sacred halls of Nerdvana. Today, we are uncertain if there will be a new set of nerds to take the mantle and to once again fill Nerdvana with laughter and battle cries. At this point, TBS has not decided if there will be a season three of “King of the Nerds”; however, all hope is not lost. We are Nerds and no power in the ‘verse can stop us! Not when we work as a collective. Many of us have asked you to express your love for the show via social media for the last two weeks. Today, I am here to try and unify that effort! Many Nerds before us have worked as a collective to change the name of the first Space Shuttle. They have teamed up against cancellation to give their beloved crew a chance to fly again. No one can take the sky from us! We are Nerd Strong. So I have a plan. A “1, 2, 3 – Nerd Punch” plan. The details are below. 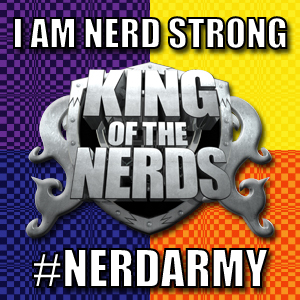 PLEASE help us show TBS that we are Nerds and we love “King of the Nerds”. There are three simple steps to follow that could help give us all another season! Remember what the Joker has taught us: It is not about the money, it is about sending a message! We all need to help send this message! No matter what part of the Nerd Kingdom you call home, I call on all of you to join the Nerd Army! We are Nerd Strong! We want season three! Step One: Join the Nerd Army on Twitter and Tweet! 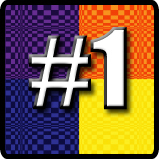 We even have a new profile pic for you to use to show that you are Nerd Strong! 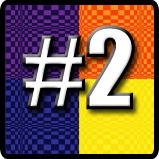 (Feel free to use it as your profile pic on all of your social networking sites, by the way). Several sample Tweets have been provided below, but feel free to write your own, just remember to tag @tbsveryfunny and use #nerdsrule. That is the most important part of using Twitter as a member of the Nerd Army; the second most important is that you send your own Tweets to TBS – everyone loves to be ReTweeted, but we want to show TBS just how many individual nerds want to see a season three. Step Three: Snail Mail! Many nerds have come before us and used “snail mail” letter campaigns to move mountains in Hollywood. Does anyone remember a little TV show called Firefly and a little movie called Serenity??? We think most of you do! So let’s go back to our roots and get TBS to grant us a third season of King of the Nerds! And what’s more fun to receive in the mail than a letter? A postcard from where you live to show TBS that we nerds are everywhere! Local postcards are available at most post offices, or try picking one up at a local gas station before you hit up the P.O. for the postage. We’ve also come up with short and simple message for you to write on the back of the postcard; we want you to Tweet again once you’ve sent it and have also provided one that you can copy, paste and post. 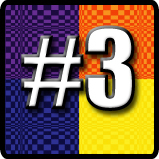 Postcard Message: Hi, TBS, My name is <Your Name> and I want to see season three of King of the Nerds! Please renew the show! Thank you! #nerdsrule. (Feel free to include your email if you wish). ***ADDITION*** @AstroJon on Twitter made an awesome postcard that you can print out and send to TBS! Now, get to it, nerds! Into battle we march! updated on a regular basis. It consists of pleasant information.